A Permanent License can be used with the current version indefinitely. It includes the first 12 months or the Maintenance Agreement for updates and support. After 12 months you can renew the License and Maintenance Agreement 12 months at a time. When you purchase a Render Plus product, you receive all new versions which are released within 12 months of your purchase. We make it easy for you to create top quality renderings. Whether designing for work or fun, IRender nXt's seamless SketchUp integration makes it quick and easy to create photo-realistic renderings that show your designs at their best. IRender nXt optimizes your design-time by saving your settings inside the SketchUp model and allowing post-render processing. Update your design and update your render, without starting over again. With the IRender nXt you can create great results. Save time with an efficient workflow that makes changes easy. Create stunning images that wow your client and help you win business. You can make great renderings right out of the box. We are there for you with help and support. Make the right choice now. Choose the easy-to-use, powerful, and complete rendering package - IRender nXt. 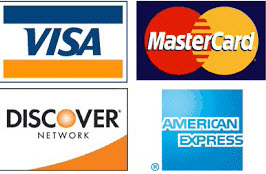 If you prefer us to send you an invoice for payment, Contact us. SpaceDesign Attributes and Reporting for SketchUp models. nXtRender for AutoCAD is the rendering engine that allows you to easily create stunning, life-like images from your 3D models inside AutoCAD and AutoCAD Architecture. nXtRender provides the highest quality in integrated AutoCAD visualization solutions available today. - at a special price. ArielVision is our new, low priced, easy-to-use rendering engine for SketchUp. Makes it easy to layout 3D components from the 3D Warehouse (or your own components). Shapes - create standard 3D shapes. NprTools - Non-Photorealistic rendering effects. See: RpTools & NprTools for product information. Attributes and Reporting for SketchUp models. If you have an application which can bevenfit from attributes and reporting for 5 or more users, contact us for a longer term trial period so you can get your applications set up. Use theIRender/ nXtRender Rendering Package on any of these platforms. We have new lower pricing! This bundle includes our SketchUp (IRender nXt), AutoCAD (nXtRender for AutoCAD) and Revit (nXtRender for Revit) Rendering plugins. Educational Single User License: If you are a student or faculty with a .edu or similar educational related email extension, then you can purchase a full version of any Render Plus Software product at a special low price. This license needs to be renewed every 12 months. Single Classroom/Lab License: is a license to use the product on as many computers as are in a single classroom or lab, and for the portable computers of all the faculty and students who use that classroom / lab. This license needs to be renewed every 12 months. All School License: This license is valid for all students and faculty in the school, and needs to be renewed every 12 months. Render Plus rendering software is widely used around the world, from small schools to large universities including Rockhampton Grammar School : Washington Middle School : Hennepin Technical College : Southwest University of Visual Arts : Houston Community College : University of Alabama : Alton College. Please email support@renderplus.com if you have any questions. SpaceDesign - Educational Version Attributes and Reporting for SketchUp models. SpaceDesign - Renewal - Educational Version Attributes and Reporting for SketchUp models.